Here you can rent a 2,000-square-foot house on a quiet part of the beach, in a secure lot, with free high-speed Internet and all utilities included, for just $150 a month. You’ll eat a three-course lunch for $5 and spend all day on a tropical beach without seeing a single soul. Simply provide your email below to receive your free Asia report. You’ll also receive a free subscription to our International Living Postcards – a daily e-letter that explores living, traveling and investing in South East Asia and other exciting countries around the world. 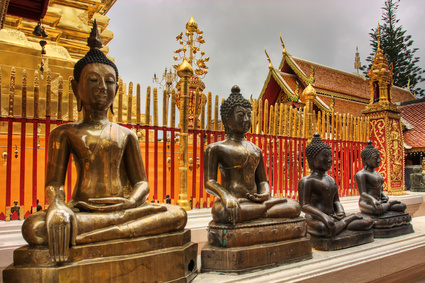 The French first arrived in Cambodia and neighboring Laos and Vietnam in the 1860’s. They called their new possessions Indochina, and made themselves at home in lavish beachfront villas and boulevard-lined towns. During the Second World War they lost control and though they returned to the region, it wasn’t for long. By the 1960’s they were gone for good, their villas and grand hotels left to decay. But—as with the rest of the country—the coast of Cambodia is now on the up. Comparisons are being made to Thailand of 40 years ago. But while new hotels are opening every month, among the 70 or so islands offshore you’ll still find deserted beaches and small, traditional fishing communities. For a taste of Southeast Asia under French rule Cambodia is the place. There’s more French architecture here than in Laos or Vietnam. The lavish colonial governor’s residence in Kep has recently been renovated as a museum and there are plenty of other French mansions awaiting a loving touch. 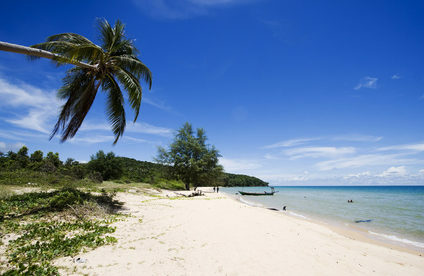 Sihanoukville is the largest coastal town and its pristine beaches are the best in the country. It’s easy to see why this area is so special, yet hard to understand why there is no one around. It’s astoundingly beautiful. There is already an expat community here, too. It’s a mix of older Americans who arrived in the 1960’s and 1970’s for a little R&R and returned to retire here after the civil war, and the 40-something dive generation who came in search of a Shangri-La-like coast. They found what they were looking for. If you’re interested in living by the beach in Cambodia, your cost of living will be very low. Here’s an example of a monthly budget if you lived in the town of Sihanoukville. Cambodia is just one highlight in Asia. 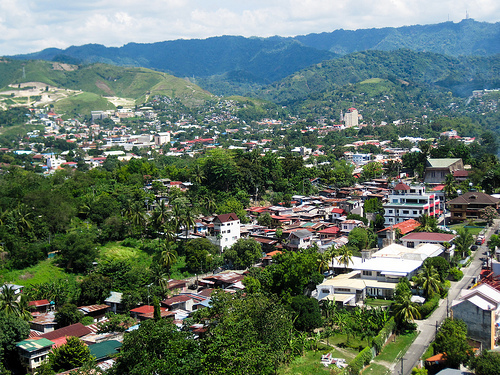 For another low-cost-of-living option, consider Cebu in the Philippines. There you find the natural drama hundreds of beaches supply, plus all the modern infrastructure of Manila but on a much smaller, friendlier, more manageable scale. Yet you can live well for $1,000 a month. Cebu City, on Cebu Island, is known as the “Queen City of the South.” and is, arguably, Asia’s best-kept secret. Postcards of the Philippines show Manila’s shopping district or the powdery, white sands of Boracay…never Cebu. Chances are, you’ve never heard of it. The expats who have discovered Cebu, however, find that it offers the nation’s best overall value. In a country where your dollar stretches (and stretches and stretches), that is saying something. Locate Cebu on a map and it looks tiny. But don’t let that fool you—this place has hundreds of beaches, in addition to rocky mountains, limestone plateaus, and coastal plains. As for the cost of living in Cebu, it’s really low. Many expats here live well on $1,000 to $2,000 a month…but with very little extra care and planning you can live on half as much. Rent a two-bedroom, two-level townhome in Cebu for as little as $200 a month, or buy a new condo in the upscale business district for $150,000. If you’re happy to be 15 to 30 minutes from the city center, you can buy a local-style apartment for less than $60,000. Internet and cell-phone service can be as low as $3 a month each (same goes for your water bill). Electricity will run you $40 to $80 a month, depending on air-conditioning usage. With all the saving going on here, it’s no wonder most expats splurge on household help…you can hire a full-time maid for about $55 a month in Cebu. That’s not even the amazing part—maids here are more like personal assistants or household managers. They will do the supermarket shopping and run errands—like paying bills or picking up dry cleaning. And in addition to cleaning, washing, ironing, and organizing, they are happy to babysit or sew buttons or pretty much anything else you ask for help with. When you consider all Cebu has to offer, you start to appreciate why people here are so relaxed. They have access to good, cheap health care and housing. They live in one of the most bio-diverse areas on the planet…and they have one of the region’s fastest-growing economies. Life here isn’t perfect, but it is blissful. IL Asia correspondent, Keith Hockton, lives on the island of Penang, off the west coast of mainland Malaysia. Like other retired and working expats, he and his wife Lisa love it here. The cost of living is low, Malaysians are friendly and hospitable, and Penang is the country’s number-one tourist destination, filled with restaurants, bars, and historic mansions. Keith says they chose Penang because – as they have a small sail boat – being near the ocean was important to them. The climate is tropical year-round. On the breathtaking jungle trails leading up Penang Hill, large groups of butterflies and monkeys are common. And you’ll find plenty of white sandy beaches if you just want to relax. It’s also close to the rest of Asia and flights are cheap. Internal flights are even cheaper. “We live in a spacious 2,100-square-foot apartment with three bedrooms and three bathrooms. We have a carport, a swimming pool, and well-equipped gym. We also have a maid who comes once a week for four hours at a cost of $12,” says Keith. Renting apartments here is remarkably affordable. A 1,000-square-foot apartment with sea views, a pool, tennis and squash courts, and a gym rents for as little as $500 a month. Of course you can pay more, and Keith does, but you can also pay less. For example, friends of Keith and Lisa rent a 1,000-square-foot apartment without the sea views, with the same facilities, for just $300 a month. In 2011, Greg Miller pulled up stakes in California and made Chiang Mai his permanent home. His goal was to permanently change his lifestyle, live a calmer existence, eat better, become healthier, do only what he thinks is worthwhile, and live a happier life. Anyone can live well in Chiang Mai for $1,500 a month. But you can do it cheaper. This is Greg’s estimated budget for a single person living in a one-bedroom, modern condo apartment with all the amenities. “Of course, costs vary depending on what lifestyle you want. For instance, my budget is less. I own my house outright, purchased a decent new car for cash, and don’t go out every night. So for me, it is easy to live month-to-month on about $500 per month,” Greg reports.